The Western Bulldogs Football Club welcomes the Andrews’ Government’s intent to assign the land at the southern (Geelong Road) end of the VU Whitten Oval, the existing Cross Street and adjoining land, to the Club for VU Whitten Oval football and for community development purposes. 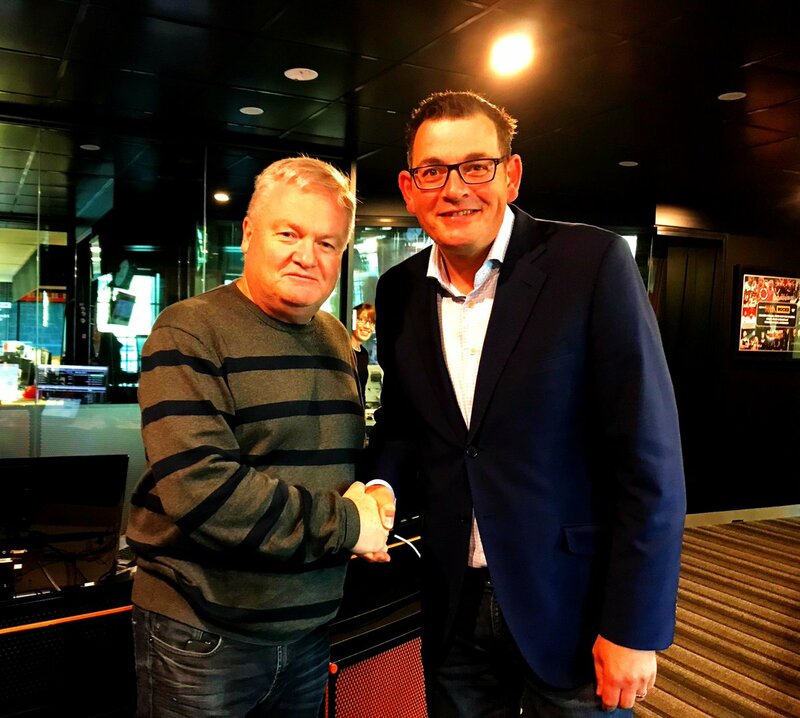 We express our gratitude to Dan Andrews and his team for their co-operation and work with us over many months on this important work for the Club and Melbourne’s west. We also acknowledge a $5,000,000 grant the Victorian Government has recently made to the Club to improve our football facilities with an emphasis on women’s change rooms, toilets, a scoreboard and TV quality lighting for our future AFLW home games. The Club has been working on a master plan for the redevelopment of the precinct for some time and has engaged with a number of consultants for this purpose. The re-alignment of Cross Street and the assignment of freehold title over the southern end of the Whitten Oval and the existing Cross Street land south of the oval as far as West Footscray station are the foundation of this master plan, and the Club will continue to work closely with Maribyrnong City Council on the re-alignment of Cross Street. The Club plans to develop the southern end of VUWO both with match-day viewing, seating, and hospitality offerings but to also develop the expanded site with complementary uses which may include car parking, commercial, residential, entertainment and retail opportunities. We will achieve this historic re-design of our home ground in consultation with our members, the local community and the City of Maribyrnong. Our plan is that the non match-day uses on the site (commercial and residential) capture financial value which will form the major part of a capital raising project, which will transform the oval into a unique community hub, the centerpiece of which will be the opportunity for families and people of the west to watch the men's and women's teams of the Western Bulldogs play football at a state-of-the-art 21st century community facility. In consultation with the State Government, we have developed other elements to our long-term plans as the AFL team of Melbourne’s west. These discussions have included an extension of the crown lease held by the Bulldogs over the balance of the Whitten Oval, and plans to further develop Mars Stadium and extend the length of the Club’s home game commitments in Ballarat. The Club also plans that the sale of our remaining licensed premises, joint ventures with prospective long-term tenants and other fundraising initiatives will help fund our long-term development plans. The arrangement recognizes that only the Western Bulldogs can optimize the real potential of this unique site. It will be a vibrant and entertaining football venue on weekends and a busy and attractive place to live, work, dine and play sport during the week. It will also house the Club’s growing community services arm. 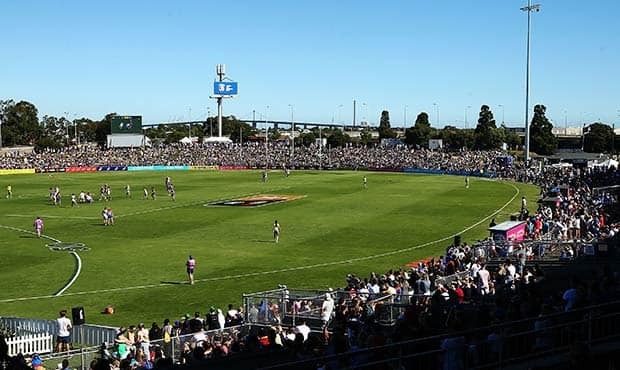 While its principal football use will be for women’s and VFL games, we do anticipate that its expanded capacity and quality will make the occasional fixturing of a heritage game in the men’s AFL premiership season an option. By the end of the 2018 season, we hope to be in a position to provide our members with visual and explanatory graphics of the principal re-design options for the precinct. Obviously the acquisition of freehold title over such a large tract of premium land has a transformative effect on the Club’s future. Our commitment is to use this unprecedented opportunity to future-proof the Club and to provide a modern and exciting home ground venue which still honours our Western Oval and West Footscray heritage, while simultaneously providing a state-of-the-art destination for the people of the west. Last edited by bornadog; 13-04-2018 at 09:52 AM. Did that say a five million dollar grant? It's a start, we need more than that. The club has some ambitious plans. Ambitiuous yes, bold even, given the grand scope. Vital to ensure we've got the right blend of people with the connections, experience and skillsets to pull this off. It is an enticing risk. Basically that boils down to the state govt giving the club the vacant land over the road on Cross st, as I read it. Plus, Scoreboard, change room facilities for AFLW, upgrade in lighting to TV std and tpilets. Can you expand on this please Webby? Do you mean the land underneath the railway bridge? What do we plan on doing with it? I'm fairly sure that the parcel of land (or at least a portion of what we are being given by the State) was previously considered VicTrack land. And incidentally, Cam Rose (our former CEO) is the CEO of Victrack these days. Yeah I think the median house price now in Yarraville is $1 million. And having bought in Yarraville 30 years ago makes a happy camper! Part of me hopes the “realignment” of Cross Street doesn’t mean that they’re blocking it off. Thousands of cars pass through there, under Mt Mistake to get to work every morning. Me included. Would just mean more traffic congestion in the morning... On the flip side, it’d be good for the club if they could take all of that area and utilise it..
Nah they won't, they have just put all the speed humps into Cross st and Rupert st and Buckingham st and all the back routes through into Footscray and the city. If they were going to close it off to traffic they wouldn't have payed a contractor to come and do the work surely? Yep, that's the electrical relay in Cross st. It's roughly across the road from where the scoreboard stood. More or less adjacent but behind where it was. It's where the paint and glue sniffers tend to pass out.